Bring Your Own Device has a lot of benefits for businesses, chief among them being giving your users the opportunity to use their own devices for work rather than those provided to them. More often than not, they will benefit from easy-to-use apps on their preferred devices, allowing them to get more done throughout the workday. When you implement BYOD, though, there are various concepts that you have to consider in order to ensure productivity, flexibility, security, and profitability. Bring Your Own Device, or BYOD, continues to grow into one of the most accepted practices within an organization. Yet, one major problem has always plagued BYOD in the form of security. 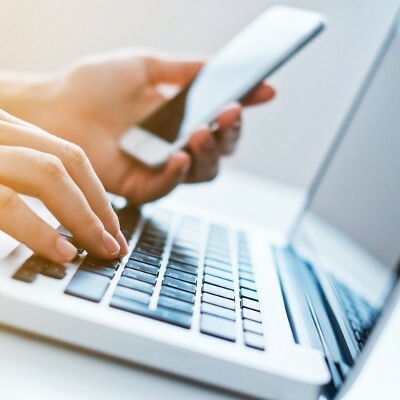 Thankfully, with the help of mobile device management, businesses are able to minimize this risk while leveraging the benefits that BYOD offers. How Can Going Paperless Help Your Business Improve Operations? Businesses today are trying to cut costs whenever it’s feasible, and technology has allowed for incredible innovations in this regard. Organizations have the capabilities to eliminate unnecessary hardware, clear out office space, and potentially eradicate clutter associated with paper documents. Cost savings: One of the most significant benefits of going paperless is saving money. When was the last time you checked how much you spend on paper, ink, and toner, annually? By eliminating the majority of printing, you’ll spend less on materials, and therefore, increase your bottom line and free up funds that can be better spent elsewhere. Clutter and wasted space: How many filing cabinets do you have in your office? They’re huge, bulky, and unwieldy, making them difficult to move. By keeping paper clutter to a minimum, you can eliminate the need for filing cabinets. Plus, when you get rid of your filing cabinets in favor of digital storage, moving your office to a new location is much easier. Searchable file archiving: When your files are stored digitally, you can search through them easily, just like you would search a computer for a specific file. This means that, instead of digging through a filing cabinet for a specific document, you can just type the terms into a search bar and find it in the blink of an eye. File backup: When you use an electronic record storage system to manage your documents, you can back them up the same way that you would back up your other types of data. Files that are stored digitally in the cloud are less susceptible to falling victim to unexpected natural disasters and power outages. According to PaperlessProductivity, one tree produces, on average, 17 reams of paper. This same tree takes at least 100 years to grow. This means that all of the businesses in the world combined, not to mention the average consumer, vastly exceeds the rate at which paper can be produced. Considering the amount of paper used by other institutions, like governments and universities, there’s a serious environmental problem that needs to be addressed. Thankfully, if every business does their part and reduces their overall paper consumption, they can make a difference. It might not be immediately noticeable for the environment, but your budget will certainly show an improvement. Does your business desire the opportunity to remove paper waste and printing costs from your budget? If so, Computerware has a solution. Our electronic record storage and cloud computing solutions can help you remove paper documents from your physical workplace, and store them in a compliant, digital space. This can help you keep your sensitive documentation safe and secure, and you’ll enjoy the ease of navigation that digital documentation can provide. Furthermore, we can provide your organization with a replacement to your outdated fax machine. With a fax server solution, we can transform your business’s faxes into emails that go directly to your inbox. To learn more, give us a call at (703) 821-8200. 59% of Businesses Allow Personal Devices in the Workplace: Does Yours? Mobile devices are important components of any modern workplace environment, and this trend is only growing more popular with time. 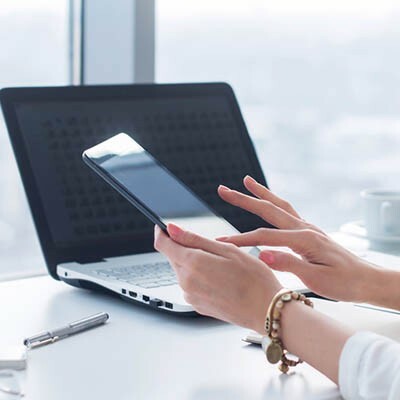 Workers love the opportunity to use their own devices, like laptops or smartphones, and doing so is a trend known as Bring Your Own Device (BYOD). While this is a huge benefit for businesses that have trouble procuring equipment, it also presents several risks, many of which are associated with the Internet of Things (IoT). Are Mobile Devices in the Workplace Worth the Risks? With so many great mobile devices at your team’s disposal, it’d be a shame to not allow them to use their devices in the workplace. This trend, known as Bring Your Own Device (BYOD), has been taking the workplace by storm, and offers a great way to enhance productivity both in and out of the office. BYOD, while a great asset, should only be approached with caution, as the slightest oversight could expose sensitive information to the world. If your organization hasn’t already realized that mobile devices have changed the landscape of the business environment, take a look at each and every one of your workers. How many of them utilize a smartphone or mobile device for work purposes? How do businesses handle an influx of network activity from mobile devices? How do these devices access this information? These are all questions you should be prepared to ask when considering mobile devices in the workplace. Due to the increasingly mobile nature of modern technology, some businesses have implemented a Bring Your Own Device, or BYOD policy. While BYOD has been proven to increase productivity, it could have disastrous consequences if not implemented properly. Therefore, it’s imperative to emphasize the importance of security in the workplace, and to pass best practices on to your team. Some businesses embrace Bring Your Own Device (BYOD) policies in the workplace, while others aren’t so sure. If you think that employers are the only ones worried about BYOD policies, you might be surprised to learn that employees are just as concerned about it as their employers. Of course, their reasons are entirely different, but are still valid reasons to be on edge. Chris Dancy is known far and wide for being "the most connected human on earth", but how exactly does he do it? It's much easier than some people think. He takes advantage of the numerous technologies and systems available, and they all work together to track his every move. Why would he want to do this? It's not for bragging rights, as some might say - rather, it is all about a "quantified life existence." To find out what this means, we got a chance to interview Chris about his tech journey. One of the fastest growing business technology trends is employees using their personal mobile devices for work purposes (aka BYOD). The trend is growing so fast that Juniper Research estimates there will be one billion employee-owned devices used in enterprises by 2018. 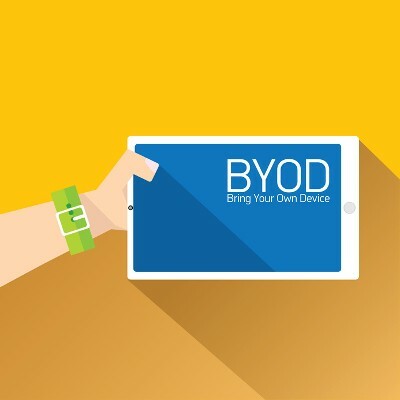 Is your business prepared for the changes coming from BYOD? One of the hottest trends in business technology is having employees bring in their personal devices to the office for work purposes. This trend is commonly referred to as BYOD (Bring Your Own Device), and before you blindly follow the trend and allow BYOD for your business, you should first weigh the benefits against the risks. When businesses first started outfitting their computer networks with wireless capabilities, you may have only had a couple of laptops in the mix. We are now seeing more devices than ever before with wireless capabilities accessing business networks. This trend is called Bring Your Own Device (BYOD) and it presents companies with new support challenges.